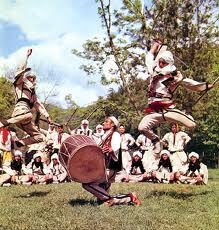 ★ Meet and dance with Albanian folk dance groups and teachers! ★ International dancing with Lee Otterholt! dance lessons, and all breakfasts and dinners! 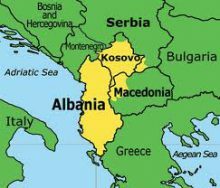 *Download Albania/Kosovo itinerary pdf. With pictures. No pictures. Day 1: May 7: Tuesday: Depart on airlines of your choice to Tirana, Albania. Transfer from Tirana International Airport to our hotel in Durres. Welcome dinner in a traditional restaurant. Overnight in the Arvi Hotel. Morning walking tour of Durres. Drive through Albania’s oil fields towards the fascinating town of Berat on the River Osum. The town is famous for its white-washed houses with many windows which give it the nickname “town of a thousand windows”. The Castle, Maria Church with the ikon Museum and the 400 hundred years old quarters, give us a real flavor of the Albanian history and culture. When we leave Berat, we can also make a stop at one of the famous winery in Albania for wine tasting. Later we drive toward Vlora to end our day with folk dancing with Genc Kastrati, famous Albanian folk dance master teacher. Dinner and overnight at Vlora International Hotel. Spend three day in beautiful city of Vlora watching Albanian folk dance groups and invited folk dance groups from other countries. In addition we will arrange private lessons so we can learn from and dance with many of these groups and get to know them up close and personally. Drive along the spectacular Albanian Riviera looking down at the Ionian Sea. Upon leaving Radhima, the landscape dramatically changes as we climb through the forest of Llogara National Park. Stop for refreshment and photos in Llogara. 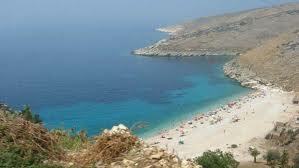 Then drive south through the seven villages of the Himara region. Lunch in local restaurant in Himara. Himara is rich with natural and historical monuments such as Flag Pine, Himara Old Town and the 18th century Panormic castle of Ali Pasha in Porto Palermo Bay. After a coffee break at springs of Borshi, we’ll continue our tour towards Saranda. 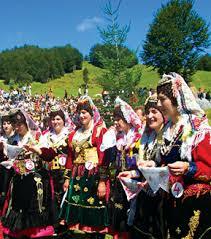 Hear polyphonic songs performed, then folk dance with local Polyphonic Group Zeri i Bilbilit. Dinner in local restaurant by the sea. Overnight in Saranda’s Brilant Hotel. Drive to 7th century BC city of Butrint, a UNESCO World Heritage Site. Asclepeion temple, Roman baths, all originating as a Greek colony in the 7th century BC. Stop at Blue Eye Spring. Lunch. Then drive towards Gjirokastra, a UNESCO World Heritage town, tour the 14th century castle. 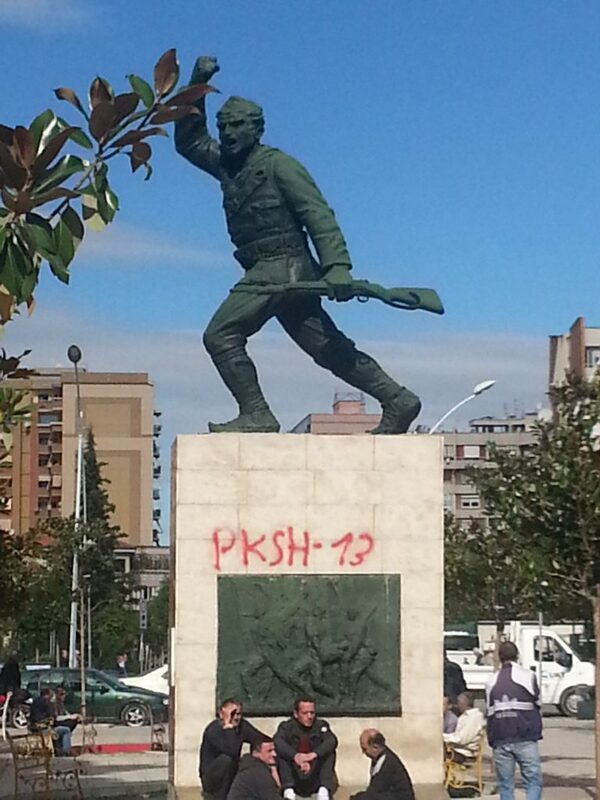 Gjirokastra is best known as the birthplace of Enver Hoxha, dictator of Albania (1908-1985). His house, open to visitors, is an ethnographic museum. Visit Skendulli house. Folk dancing with Lee and local teachers. Dinner and overnight at Cajupi Hotel in Gjirokastra. 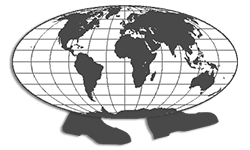 with more than 25 000 Icons). Also possible dance lessons with Bardhi Pojani at The House of Arts in Korca. Dinner and overnight in Korca. After breakfast continue to Lake Ohrid, one of the oldest in the world, 900ft deep, with many endemic species living there. Crossing the border between Albania and Northern Macedonia, we visit first the beautiful Monastery of Sv. Naum. Later we spend the rest of the day in the City of Light, how was Ohrid called for long time, with many Byzantine Churches and magnificent architecture. Dinner and overnight in Ohrid. Starting from Ohrid we cross the border back to Albania, to drive more or less the ancient roman most famous route Via Egnatia first to Elbasan, old Scampini and later towards the Historical Capital of Albania, Kruja. We visit the museum dedicated to our national hero and symbol of our resistance, then Ethnographic Museum which is located in a traditional house built in the middle of the 18th century A.D (1764), by Ismail Pashe Toptani. Within the walls of the castle we will visit the Bektashi (a little-known Muslim sect) Dollma Teqe (Bektashi Mosque). After the visits we will have free time to explore and purchase Albanian souvenirs and antiques for very reasonable prices in the 400 years old Bazaar of Kruja. Lunch in traditional restaurant. 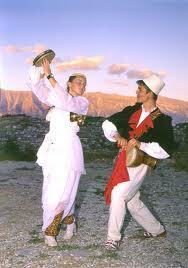 Evening folk dance show with local Kruja folk dancers. Overnight in Kruja. After breakfast we’ll walk around the center of Tirana, visit to Et’Hem Bej Mosque, built in 1789, and one of the most beautiful mosques in Albania. We visit the recently discovered ruins of the Justinian castle near the center of Tirana. We visit new Catholic Cathedral and the new Orthodox Basilica. En route we will pass Tirana’s colorful buildings. While at the gallery, admire paintings dating back to the time of socialist realism. Lunch in local restaurant or free time to enjoy a cappuccino. (optional) Our afternoon will be at leisure but in the evening we explore the ex-block area where villas of the Albanian communist leaders are still standing nearby trendy boutiques, active pubs and exclusive jewelry shops. Dinner in a local restaurant. Folk dancing with Lee and/or Genci Kastrati. Overnight in Tirana at the Tirana International Hotel. After breakfast check-out we transfer you to Tirana International Airport for flight home. For guests who decide for the Kosovo Extension, we continue after the delivery in the airport of the rest of the group: Drive towards Kosova to Prizren. Lunch on the way or in the Old City of Prizren, maybe free time. After checking in at our hotel, located in the heart of Old Town, we make a walking tour to visit this beautiful city. The Catholic Cathedral, 14th century Serbian Basilica, !6th century Mosque and the Museum of the Albanian League of 1878, are our highlights! The old city with such a moving history offers a lot from all the communities who are populating it till today, Albanians, Serbs, Turks, Bosnians and so on. Dinner in our Hotel or a restaurant in town. Also possible Folk Show. Overnight at Hotel Centrum. Morning drive northwards to Pej. On route visit Gjakova, with the renovated bazaar, after the burning during the last war, 1999. The Hadumi Mosque, one of the oldest in Balkans, is a highlight with the wall paintings and a very rare/old architecture. Later we drive to visit one of the most important Serbian Monasteries, Visoki Decani, where the Serbian king from the 14th century is buried. Lunch on the way (optional). Our journey continues to Pej, where we check in at our hotel, Hotel Dukagjini! For dinner we drive inside the marvelous Rugova Canion at a local restaurant where we can enjoy and dance together with the local folk group from Rugova. Day 15: May 21: Tuesday: Transfer to the Airport of Prishtina. Lee Otterholt, born in USA of Norwegian-American parents, has lived and worked in Norway as a professional dancer, teacher, and choreographer. He founded the Center for International Folk Dance in Oslo, and was professor of dance folklore at the Norwegian National College of Ballet, and University College of Oslo. Lee established folk dance and performing groups in Norway, taught at festivals and workshops throughout Europe, United States, and East Asia, and authored folk dance and instructional manuals for Norwegian schools. He was a choreographer for the Opening Ceremony of the Winter Olympic Games in Lillehammer. I can’t wait to go! Enclosed is my registration deposit of $200 per person. Single supplement: $395. Kosovo extension: $695 Kosovo single supplement $100. Gratuities and drinks during meals not included. Program subject to change without notice. Cancellations 90 days prior to departure: Total refund: Less than 60 days: No refund. Travel insurance always recommended. Total balance due February 1, 2019.